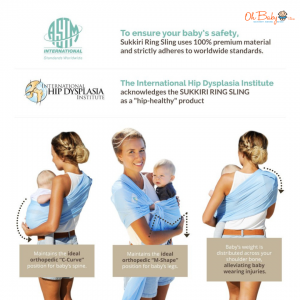 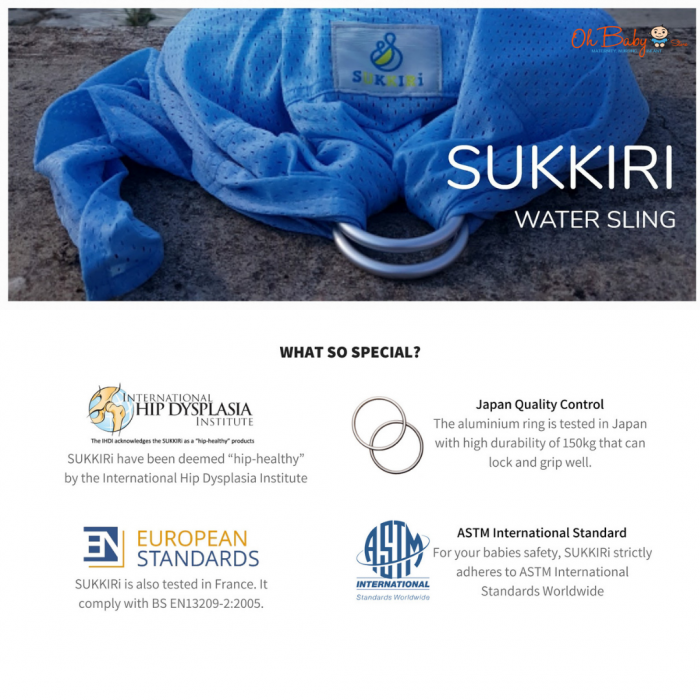 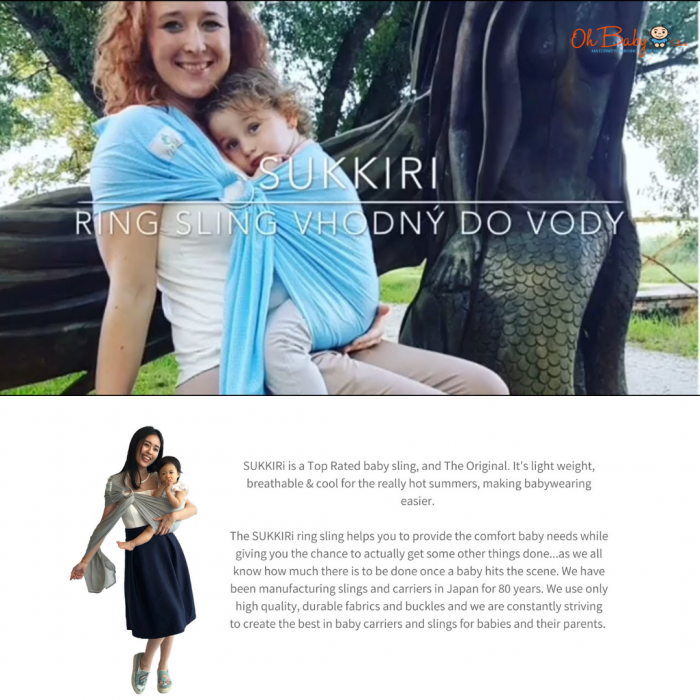 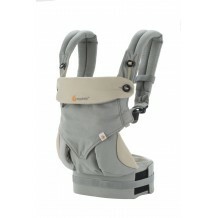 ~>SUKKIRi Mesh Ring Sling comes with durable aluminium rings that are tested for safety in Japan. 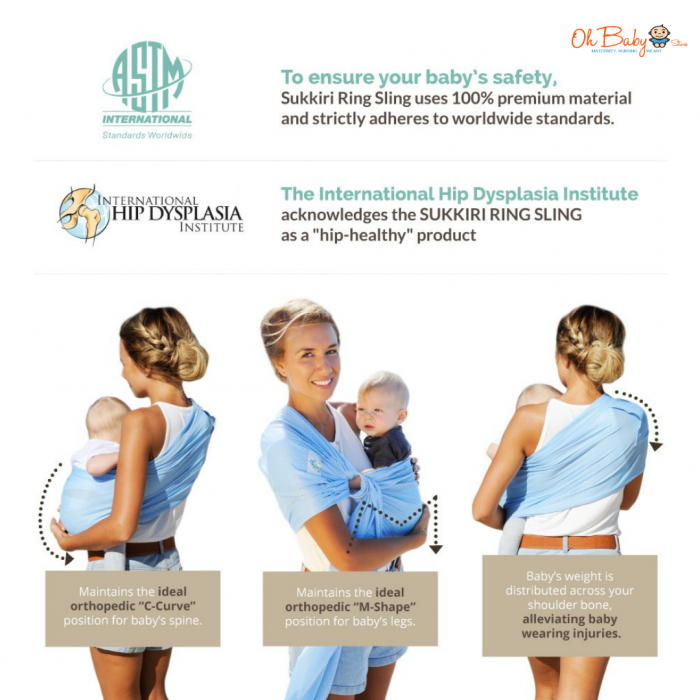 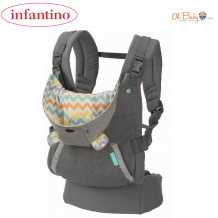 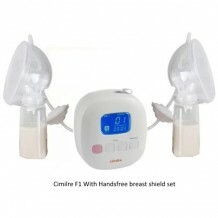 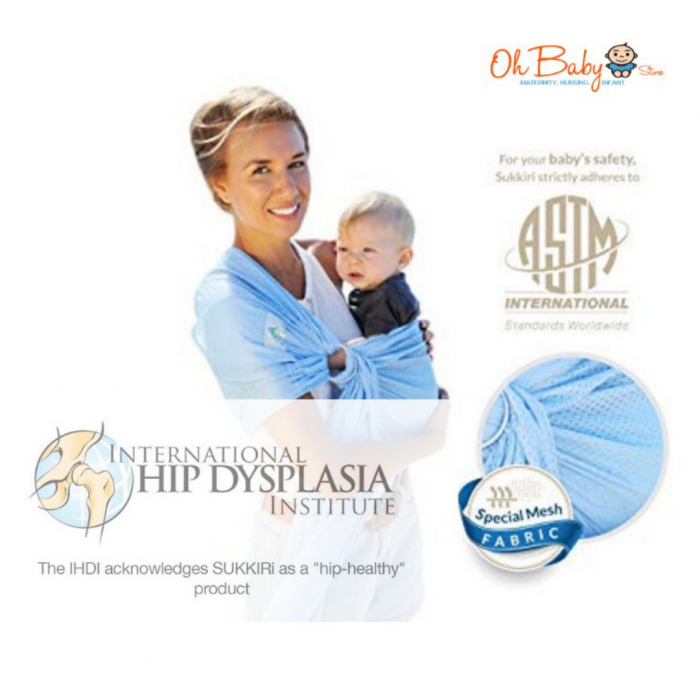 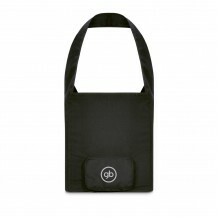 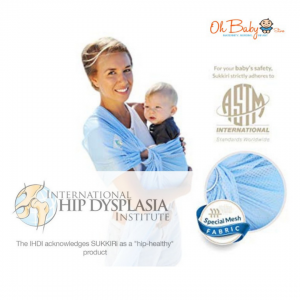 This sling is safe, comfortable, easy to use, and easy to store too because it can be folded neatly into the shape of a pouch. 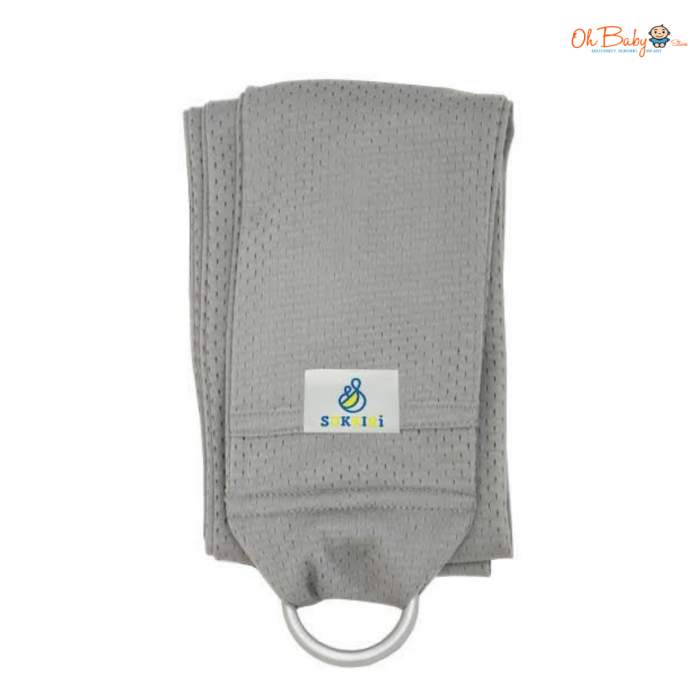 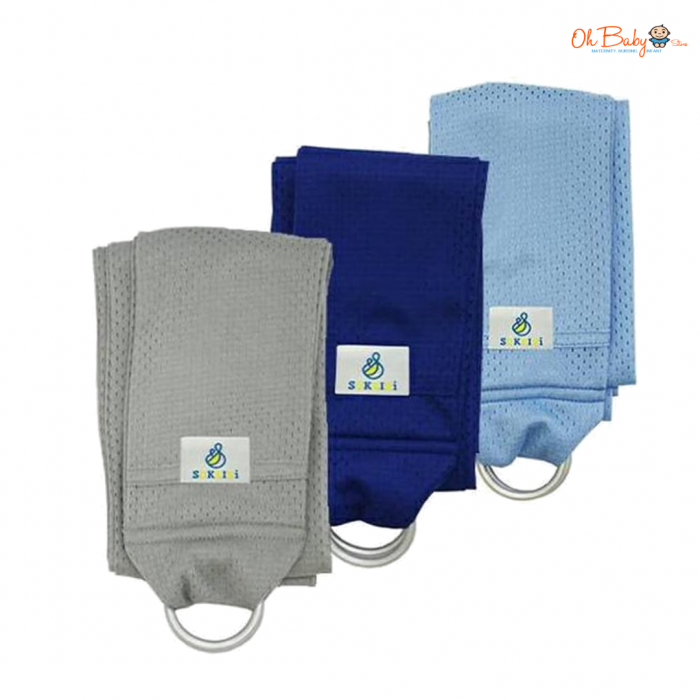 Its cooling material makes this mesh ring sling great to use when the weather is hot. 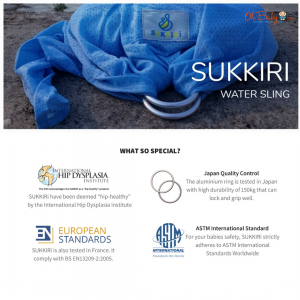 ATTENTION: For your safety, Please Read All Instructions And Cautions Thoroughly Before Using SUKKIRi.